Discussion in 'Blu-ray and UHD' started by Ronald Epstein, Apr 6, 2019. Timothy Bodzioney and ahollis like this. I'm interested, assuming this comes from Sony. I already have two of the titles but there are some real rarities in that collection. I'm interested too, but I'm waiting on reviews for the first volume that is now delayed until April 23rd. I don't have any faith in this Kit Parker company. I have pre-ordered volume 1 but will wait to check quality before ordering vol 2. Need more Cleo Moore on blu ray, particularly Over-Exposed. I ordered Volume 1 on Diabolis website and I should have it today. Ill probably start with 711 Ocean Drive as IMHO that was the key title in the set. Ive watched 3 films on Volume 1 and I was pleasantly surprised. They do look pretty colid at least the ones I watched. Im pretty sure these are Sony created HD masters. The packaging is a standard Blu ray case with discs 2 and 3 stacked on top of each other. The label for discs 2 and 3 are misplaced, as the movies on disc two are actually on disc 3. Basically as an example, disc 2's label says 711 Ocean Drive, The Miami Story and Assignment Paris, but the actual movies are on disc 3. Malcolm R and Jack K like this. Glenn Erickson likes Volume 1. If it's Mill Creek none of these are new transfers. Period. Jack K and Peter Apruzzese like this. By the titles listed in both Volume 1 and now Volume 2, I am of the opinion that we have seen all the "cream" in this style. If their still are great, or almost great, titles still to make to the market then I would like to hear what they are. Any suggestions? Other reviews I'm seeing are all saying these transfers have various issues - of course they do. I do wonder at Kit Parker's involvement in this set. The Black Book, for example, as far as I know, has been a PD title. Are the others? Or was this simply part of the Mill Creek Sony package of old transfers? So, where does Kit Parker fit in? There are several great film noirs from Columbia that are still not on Blu-ray. A couple off the top of my head are "The Sniper", "The Lineup", "Scandal Sheet", "Johnny O'Clock" and several more titles. Keith Cobby, ahollis and lark144 like this. I'm sure these are old transfers, but what are the odds of getting new ones? Kit Parker’s involvement is confusing. To make it even more confusing, I thought MVD was distributing this set? I’m certain these are all the Sony transfers used for past sets and MODs, including The Black Book. The good news is that most of the black and white films looked good on DVD and will look fine on Blu. I expect that color titles like Footsteps in the Fog won’t look so good. As I mentioned above, I can’t imagine these getting new scans anytime soon. But to get Address Unknown and The Black Book in high def for 4 bucks a pop? I couldn’t pass on that! 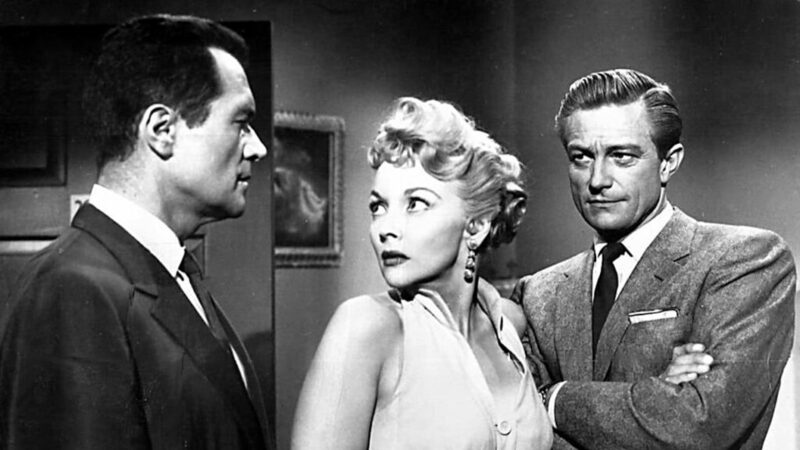 Personally, the main Sony-owned noir I would like to see on Blu-ray is the 1955 Tight Spot with Ginger Rogers. I hope that one is coming soon, either in the next volume of this series or through somebody else. Just FYI, the cover photo for the thread is a still of Johnny Depp from Ed Wood. You don't mean the image in post #1, do you? The still in the Noir Archive Volume 2 cover is from Cell 2455, Death Row. No, he's talking about the portal page in which wrong pictures are posted much too often.